The late Dr. Maya Angelo stated in Oprah’s master class, “words are things I’m convinced, you must be careful of the words you use”. In the old testament, we are told in genesis that in the beginning there was the word, and the word was God and the word was with God, so we must be careful with the words we use……one day we will be able to measure the power of words”. With that said, I want to share this story with you. Be careful of what you say. Speak life to those who cross your path. 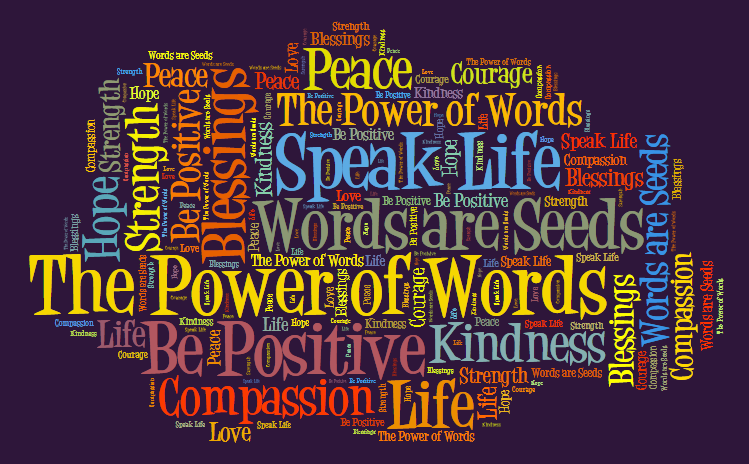 The power of words… it is sometimes hard to understand that an encouraging word can go such a long way. Anyone can speak words that tend to rob another of the spirit to continue in difficult times. Special is the individual who will take the time to encourage another. so Today, I challenge each an every one to edify your brother and sisters.